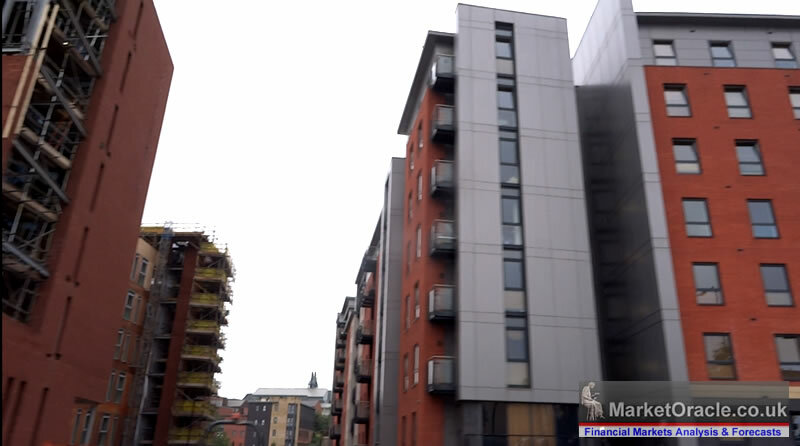 Grenfell Tower Cladding Fire Disaster, 4,000 Ticking Time Bombs, Sheffield Council Flats Panic! 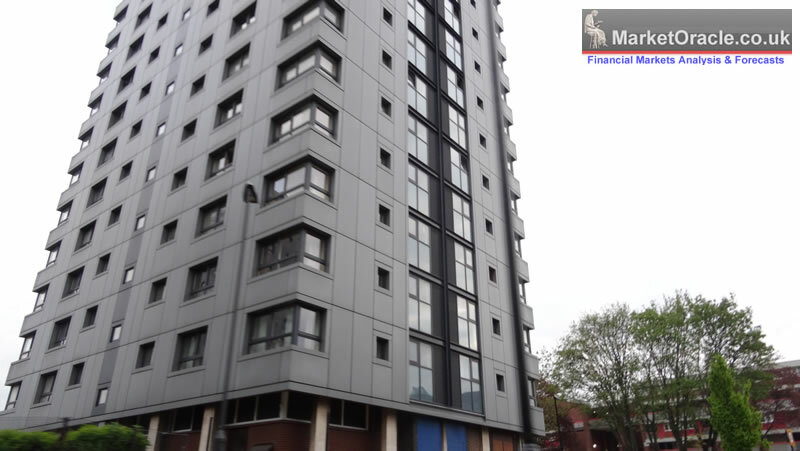 The residents Grenfell Tower have paid the heavy price for the cladding refurbishment craze that has been sweeping Britain for the past decade. 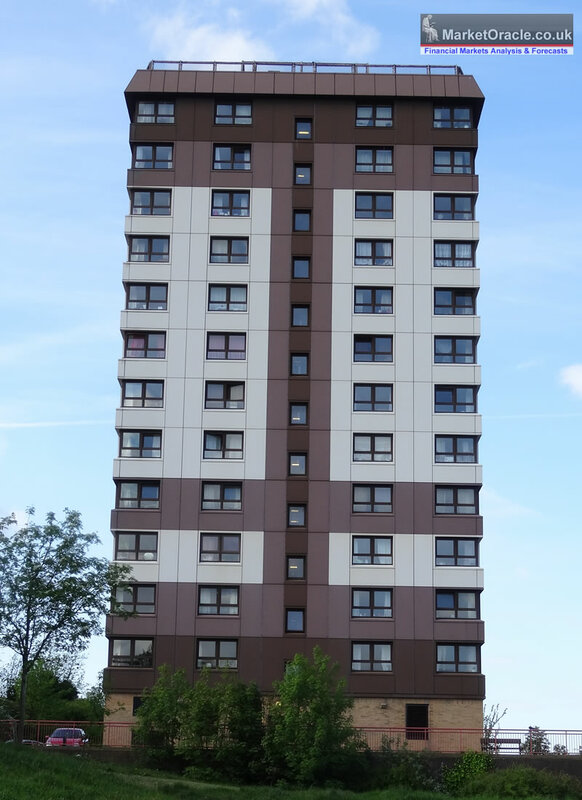 One of 30 to 50 year old social housing tower blocks, many of which that should have been demolished but instead are being dolled up with cladding and insulation to reduce energy costs to make them externally more appealing to both residents, visitors and most importantly nearby affluent areas as was the case with Grenfell Tower, a pocket of social housing in Kensington, probably the most affluent area of Britain. An area where millionaires can be found living within 100 metres of taxi drivers, refugees and the other low paid workers necessary for the functioning of London. The rich just could not stand the view form their mansions as they looked out upon modernist concrete tower blocks, so they rich got their way as most of the nations concrete tower blocks have been all cladded up. 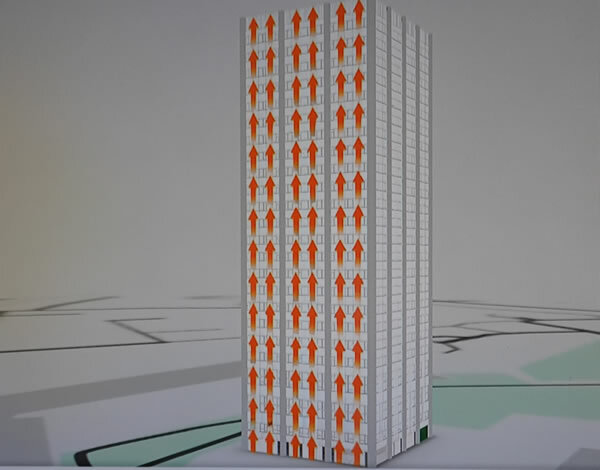 As already mentioned cladding is the number one suspect for the disaster, which even amateurs can realise given what we saw unfold, given the speed and ferocity of the fire that engulfed the tower block as cheap low cost combustible material that is widespread in Britain's social housing sector funneled the flames up the building like a chimney, then any open windows on a warm summers night soon spread the fire inwards whilst the fire continued to rage outside on all four sides of the tower block within 30 minutes! Claiming dozens of lives, where the final death toll is likely exceed 100! And what's more the cladding used on Grenfell Tower is BANNED in the US! Britain has over 4,000 similar tower blocks across the land which has triggered city councils to panic and start checking the materials used to refurbish and clad their own cities tower blocks. Where this article's focus will be on the 100+ tower blocks across the city of Sheffield that has the city council scrambling to reassure residents. 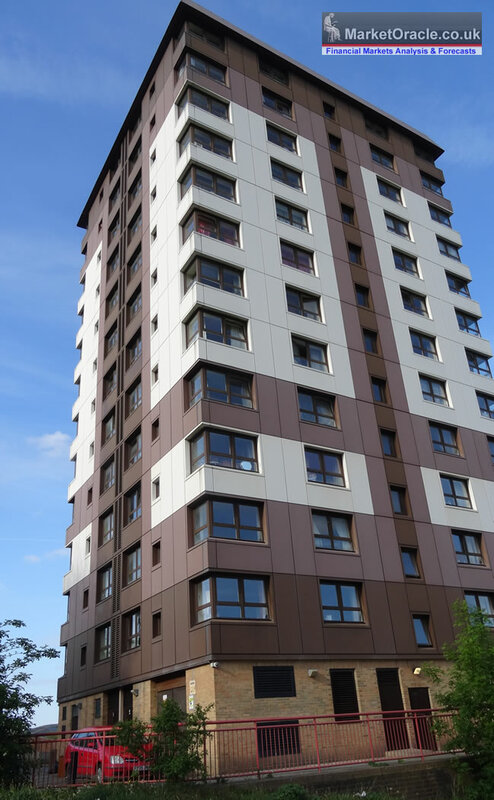 Whilst newer tower blocks constructed over the past decade should be safe, though may not be given that an earlier tower block fire at Lakanal House in 2009 never resulted in any change in building regulations. 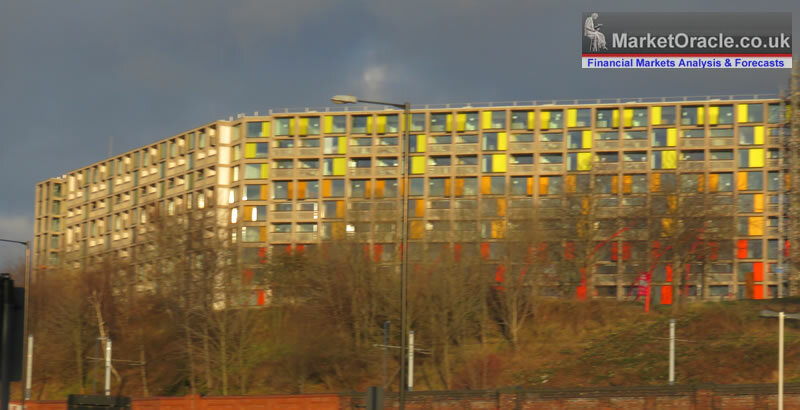 One thing the people of Sheffield will have witnessed over the past decade is that the old decaying concrete jungle social housing tower blocks have undergone at least external refurbishments, prettying up the dull concrete blocks with colourful external insulated exteriors. 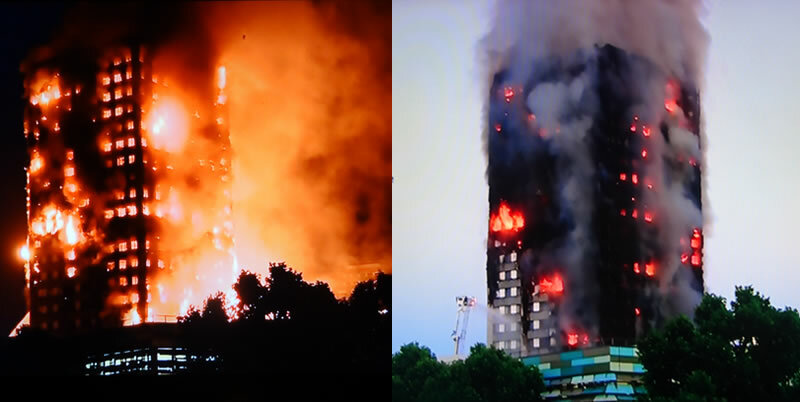 Of course being social housing, cheap combustible material has likely been used as is allowed for by clearly not fit for purpose building regulations, which has now put many thousands of Sheffield residents in peril should something similar Grenfell tower repeat. Residents of Grenfell Tower warnings of dangers of fire and specifically the risks of a catastrophic event went unheeded by the local council, the same is likely to have happened in tower blocks up and down the land including Sheffield leaving behind thousands of ticking time bombs! 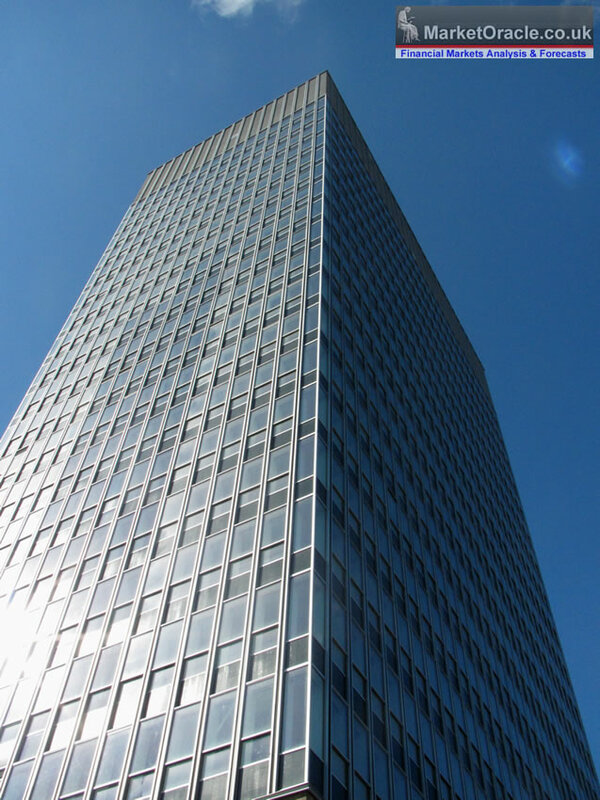 So cladding not only hides the true state of the buildings beneath, but acts as an fire accelerant. 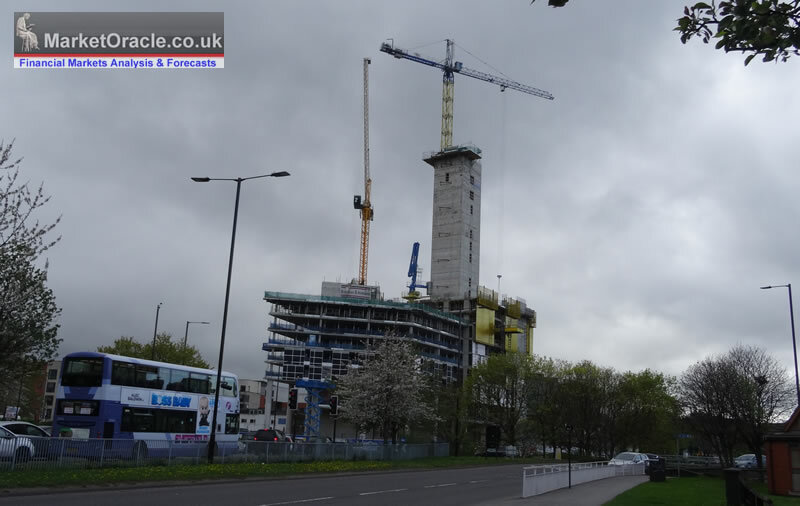 Sheffield like most major UK cities went on a tower block flats building binge during the 1960s to mid 1980's, creating the concrete jungle that recently many social housing landlords have been attempting to mask with cladding. So Sheffield tower blocks like elsewhere are lined up like dominos, all cladded up ready to tumble as just like Grenfell Towers the council tends to ignore the concerns of residents. All cladded up, many if not most with combustible material translates into a nightmare for Sheffield's flats residents! As incompetent city councils scramble to undo the consequences of that which they have ignored for a decade! 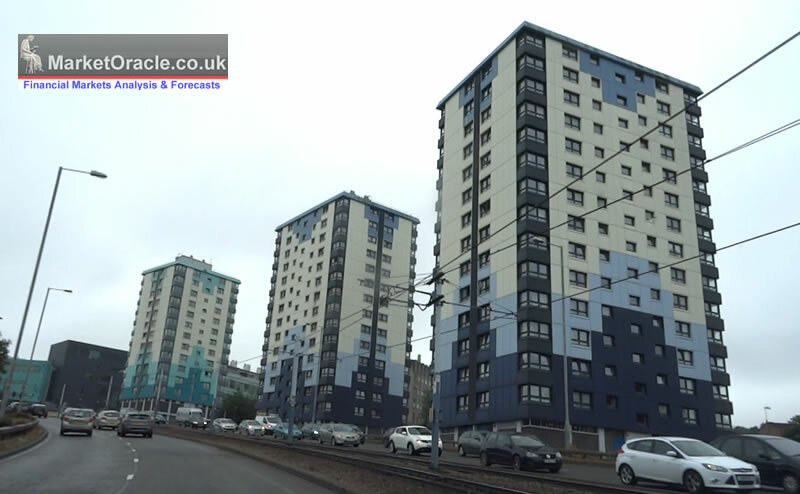 And where Sheffield is concerned, the city council is proposing to install sprinkler systems in all of it's high rise blocks of flats as part of a FIVE YEAR programme! Whilst the ticking time bombs continue to tick. Ensure you are subscribed to my always free newsletter for my forthcoming in-depth analysis that Deconstructs the UK General Election 2017 result in lessons learned for forecasting future elections. And to my youtube channel for video analysis and forecasts. Copyright © 2005-2017 Marketoracle.co.uk (Market Oracle Ltd). All rights reserved. Nadeem Walayat has over 25 years experience of trading derivatives, portfolio management and analysing the financial markets, including one of few who both anticipated and Beat the 1987 Crash. Nadeem's forward looking analysis focuses on UK inflation, economy, interest rates and housing market. He is the author of five ebook's in the The Inflation Mega-Trend and Stocks Stealth Bull Market series that can be downloaded for Free. Disclaimer: The above is a matter of opinion provided for general information purposes only and is not intended as investment advice. Information and analysis above are derived from sources and utilising methods believed to be reliable, but we cannot accept responsibility for any trading losses you may incur as a result of this analysis. Individuals should consult with their personal financial advisors before engaging in any trading activities.